We, at ZigWheels, think it should be criminal for an SUV to look this good. Range Rover’s Velar has always set our tails wagging in happiness by its sheer presence. But, with the SVAutobiography, Range Rover has kicked things up several notches. What’s more, it’s not just the eyes that get a treat. There are some eargasms in store too, because under that sculpted hood lies a 5.0-litre V8 motor. Oh yes! That’s a great starting point, actually. This 5.0-litre engine is something we’ve seen propel mad hatter versions of Jaguars – such as the F-Type R and the XF R – and also nutters from the Range Rover stable, including the Sport SVR. Here, the motor makes a whopping 550PS of power. That’s plenty to catapult the Velar SVAutobiography to 100kmph in just 4.5 seconds, and on to a top speed of 274kmph. And the updates don’t stop there. Reigning in all of that power are bigger brakes – 395mm discs at the front, 396mm discs at the rear. 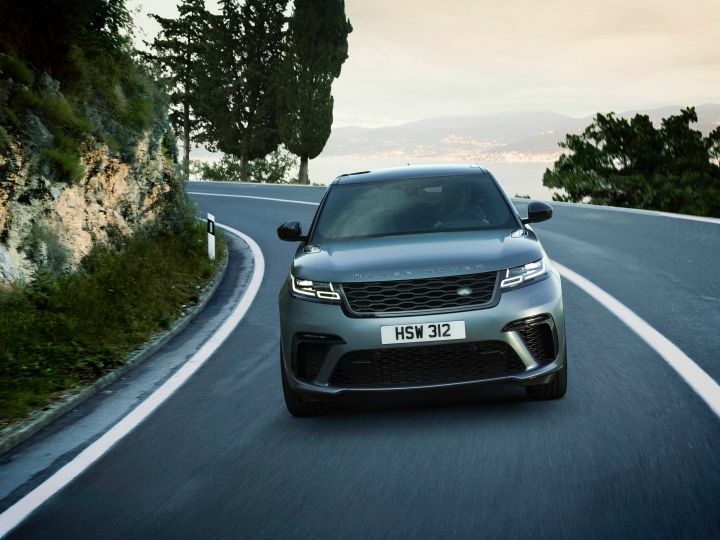 Should you choose to chuck the Velar SVAutobiography hard into a corner, upgraded anti-roll bars and firmer air springs with the variable dampers will have your back. The all-wheel-drive system gets a new transfer box, and is now happy to send 100 per cent of the power to the rear wheels. There’s an active exhaust system as well, that not only saves 7.1kg, but also makes bystanders happy with its sonorous note. 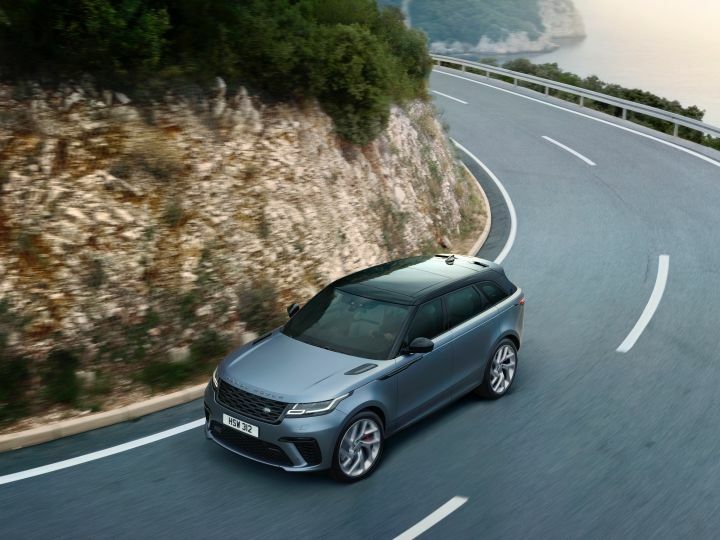 Range Rover’s SV division has also fine-tuned the characteristics of the 8-speed gearbox, the rear differential and the steering to make sure that this bad boy feels special to drive. Speaking of special, a quick look at the SVAutobiography Dynamic Edition (yes, it’s actually called that) looks…errr…HOT. 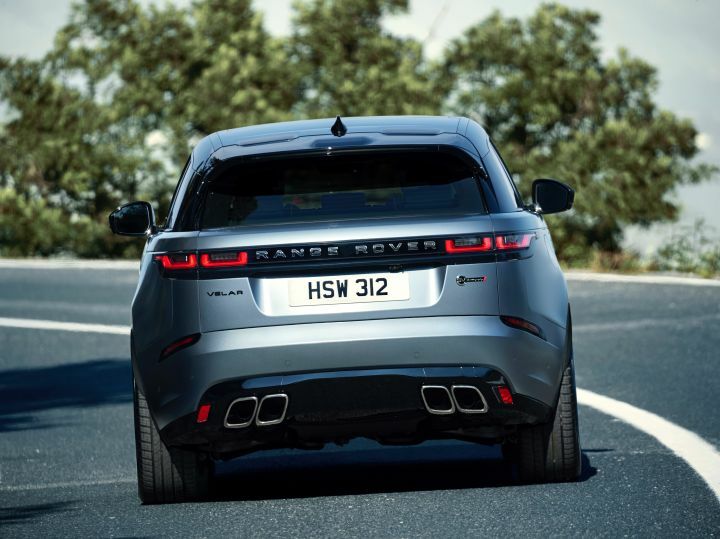 It gets new bumpers with more pronounced aero bits, a new grille and optional 22-inch alloy wheels which make the already stunning Velar look downright smashing. 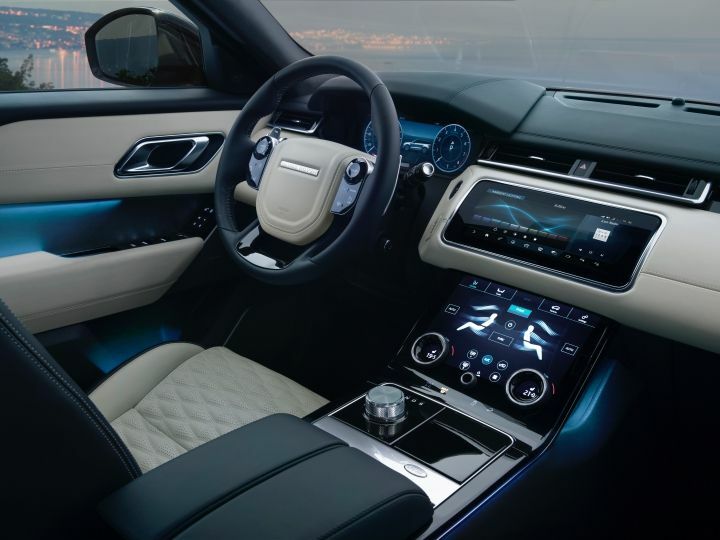 Interiors too have been taken one notch higher, with details such as quilted leather upholstery, a new steering wheel and knurled finishes for the rotary controls. In terms of equipment, there’s a sliding panoramic sunroof, a 12.3-inch LCD instrument cluster and a pair of 10-inch screen for the infotainment and climate controls. We’re expecting Land Rover to bring the bespoke Velar to our shores. It could be priced north of the Rs 2 crore mark, and debut by late this year, or early 2020.